The youth of Perth need more positive entertainment and fun, alcohol-free environments in which to enjoy it. On November 8, local hip hop artists will host a gold coin entry, all ages gig at HQ Leederville. Selekt Few will host the afternoon, and will be performing on the bill along side Perth hip hop legend Graphic, the heavily slept on L.S.D & The Missus and the ever impressive Bryte MC. Plus a huge line-up of special supporting guests including Rob Shaker, Callum Presbury and Charley Caruso. In a world where everything is ‘user pays’, the youth and low income earners often miss out on the best entertainment. That’s why this is low cost – gold coin entry – so everyone can come! But we need your help to fund it! 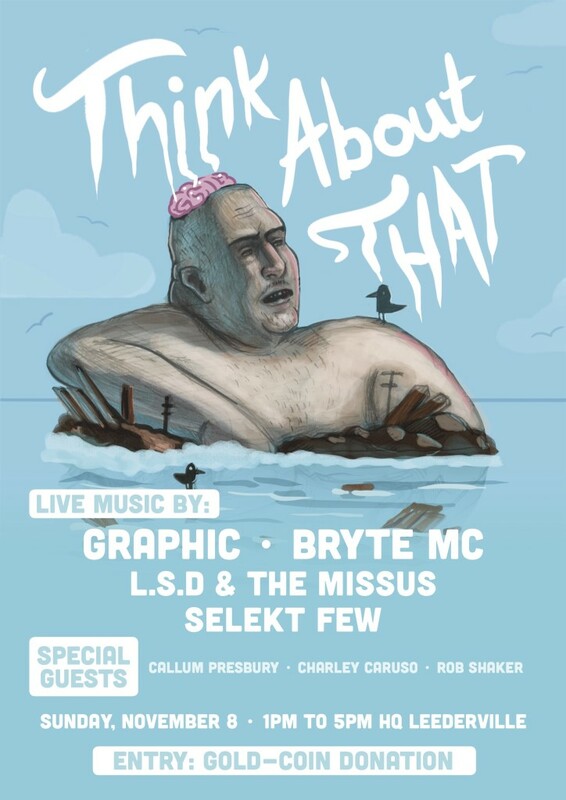 This entry was posted in Gigs, Misc and tagged all ages, aussie hip hop, event, gig, hip hop, live music, music, perth, rap, youth on September 18, 2015 by Shareef. 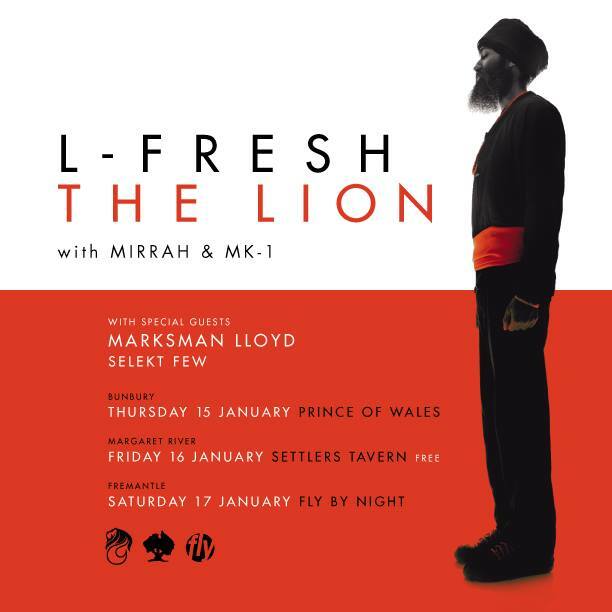 Going on tour with L-Fresh the Lion! It’s 2015 and we’re going on tour!! This month we’ll be joining L-Fresh the Lion and Marksman LLoyd on a tour of WA’s southwest. On Thursday January 15 we’re playing at the Prince of Wales in Bunbury (tickets here), Friday the 16th is at Settlers Tavern in Margaret River and is free entry. Then a massive night to finish it all off at the Fly By Night Musicians Club in Fremantle on Saturday the 17th of January (tickets here). There’s also a Facebook event for the Fremantle gig at Fly By Night that you can invite your friends to and get up to date information about the gig from. This entry was posted in Gigs, Misc and tagged 2015, Bunbury, Fly By Night, Fremantle, gig, January, L-FRESH the LION, Margaret River, Marksman, perth, Prince of Wales, selekt few, Settlers Tavern, tour, Western Australia on January 3, 2015 by Shareef.